An all-occasion steak tavern that glows with sizzle and warmth. Serving fine steaks and tavern fare to family and friends in Grandview’s historic Bank Block neighborhood and Historic Dublin. 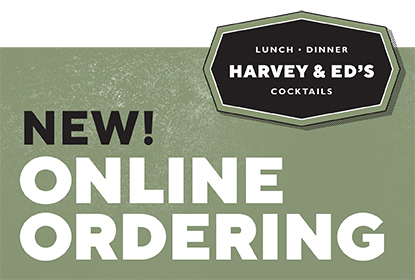 Your Harvey & Ed’s favorites are just a click away. Order online, pick up and enjoy anywhere.